the past month was a total blur for me of work, rehearsals and cramming in time to eat, so finally i had some time this week to relax and build some things! to follow up on the bird cage i made a while back, i thought it would be fun to make a place for fellow songbirds to live! so, i bring you a human-sized birdhouse, a fun place to live and play. 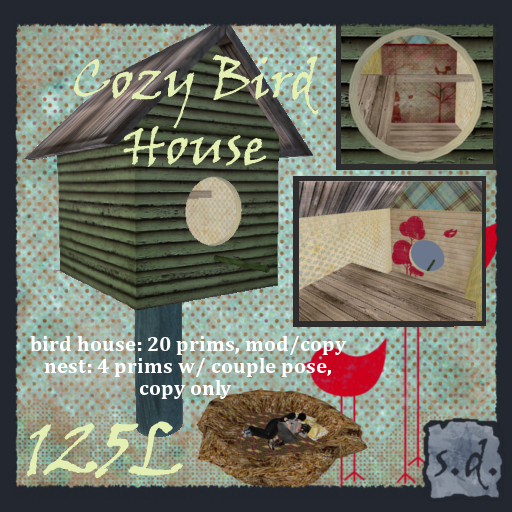 this one was crafted with love with scraps found around the house and comes with a nest that is lined with a quilt and pillows so you can cuddle up with a special someone. 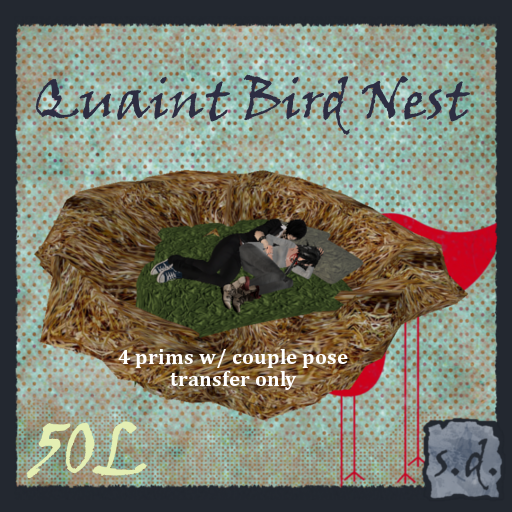 and if you want a nest, but no birdhouse…. and we are finally starting to release some of our fishing prizes to the store so if you aren’t into fishing you can just buy them! 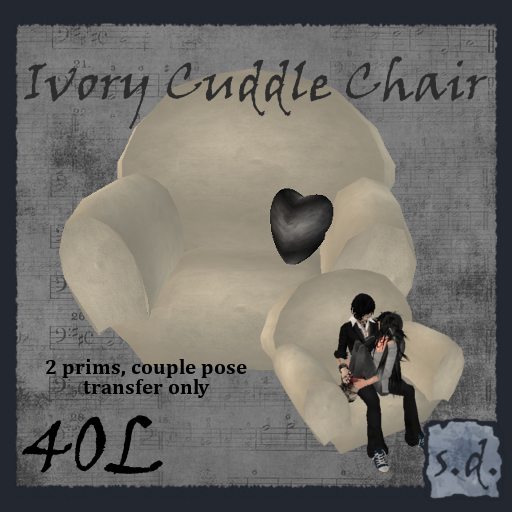 this week it’s all about poses for two! pick any of these items up today at our main store or Starlust store! ~ by kalliopekat on June 12, 2010.